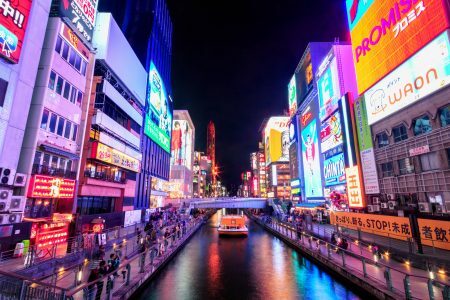 Dotonbori (Dōtombori) is an entertainment street in Osaka, and is probably the biggest tourist attraction in the city. It is famed for it’s many colorfully lit billboards and oversized figures advertising for local shops and restaurants. Daio Wasabi Farm near Matsumoto is Japans biggest Wasabi Farm. 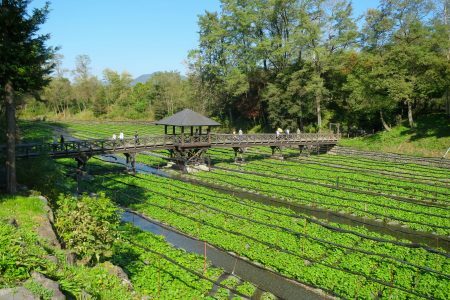 The farm covers 15 hectares and utilizes the chill streams of water from the nearby Japanese alps. The farm is open to visitors, and has plenty to offer for the interested tourist. 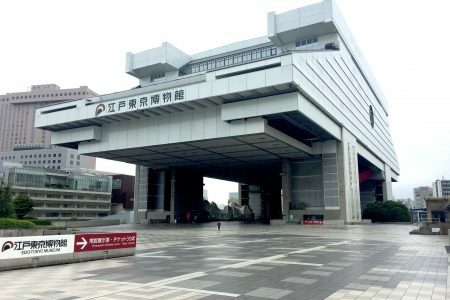 The Edo-Tokyo Museum is dedicated to the history of Tokyo, formerly known as Edo. The museum is housed in a very unique building from 1993, which is almost an attraction in it self. 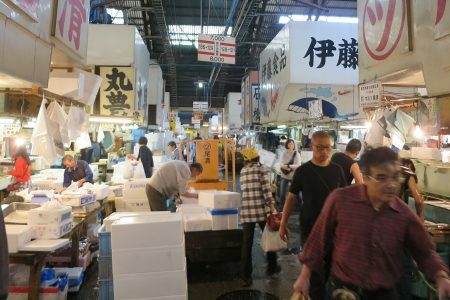 The Tsukiji fish market in Tokyo is the biggest seafood market in the world. Over the years the market has become a huge tourist attraction. Sakurajima is an active volcano located in southern Japan. 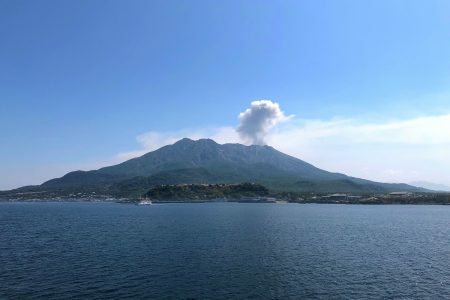 During an eruption in 1914 Sakurajima was transformed from an island to a peninsula. The volcano is one of the most active in Japan, and is a local attraction. 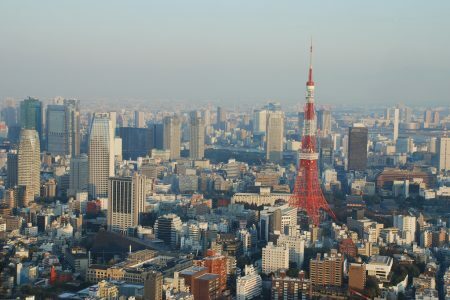 Tokyo tower is a transmission tower located in central Tokyo. The tower, which is one of Tokyo’s most famous landmarks, has two observation decks which are accessible to the public against an entry fee. 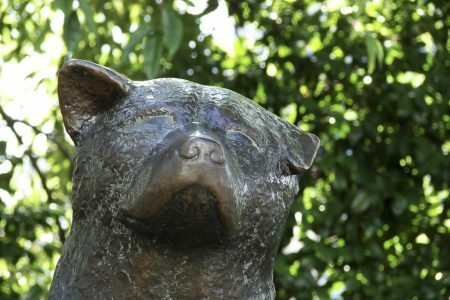 Hachiko (ハチ公) was a dog of the Akita breed, living from 1923 – 1935. The dog is famed for his loyalty to his master Ueno – even after Ueno’s death. A loyalty so strong that it has been the school example of loyalty in Japanese culture for nearly 90 years. The town of Arita in Saga, Kyushu is famous throughout the world for its pottery. 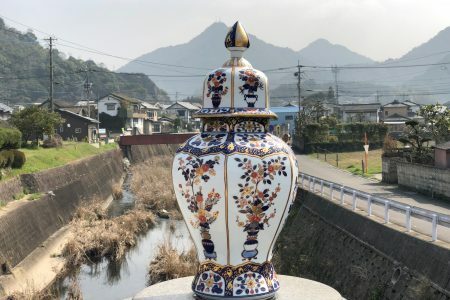 Arita was the first place in Japan where porcelain was produced in the 1600’s and today the town still lives strong on its history and reputation of fine pottery. 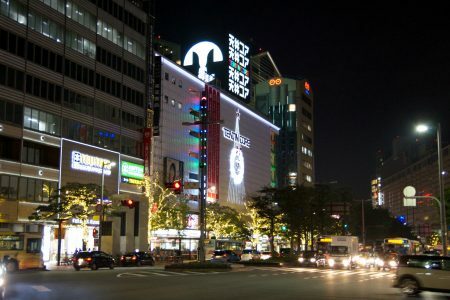 Canal City Hakata is a huge shopping, dining and entertainment complex in Fukuoka. With around 250 shops and restaurants, cinema, theater, hotels and a half hourly water and light show, Canal City truly is a city in the city, like they brand it. Tenjin is the downtown area of Fukuoka. It is well known for good shopping opportunities. 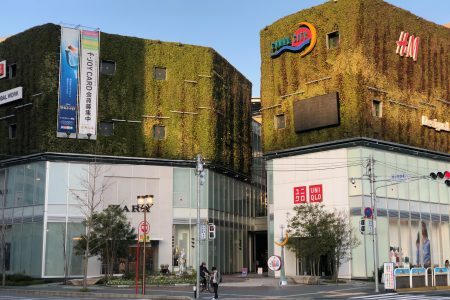 With the presence of huge department stores and international fashion shops Tenjin has made Fukuoka the fashion capital of Kyushu.